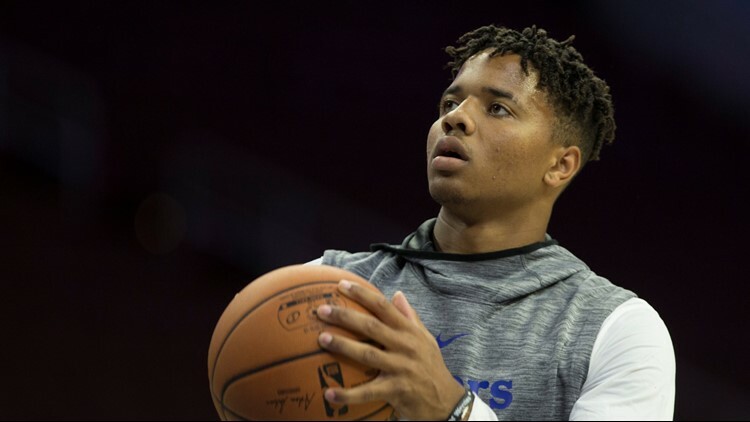 According to Keith Pompey of The Philadelphia Inquirer, the Cleveland Cavaliers had interest in Philadelphia 76er point guard Markelle Fultz prior to trading Kyle Korver to the Utah Jazz. After a rocky start to his NBA career, it appears Markelle Fultz is looking for a fresh start. And according to Keith Pompey of The Philadelphia Inquirer, prior to trading Kyle Korver to the Utah Jazz on Wednesday, the Cleveland Cavaliers were interested in giving him one. Per Pompey, the Cavs have had interest in acquiring Fultz, who the Philadelphia 76ers selected with the No. 1 overall pick in the 2017 NBA Draft. The first season-plus of the point guard's NBA career has been marred by controversy and injury -- including a recent leave of absence due to a mysterious shoulder injury. "Markelle Fultz's trade value has dwindled, but there is a market for him — under a certain condition. He and his representatives need to be truthful, a league source says," Pompey wrote. "In other words, potential 76ers trade partners don't want Fultz saying that his right shoulder and wrist are bothering him if he actually has a mental block that's hindering his shooting, the source said. "That was the word coming out of Cleveland, as the Cavaliers were interested in taking a chance on the 2017 first overall pick before trading Kyle Korver to the Utah Jazz on Wednesday, sources said." Whether or not Cleveland remains interested in the 6-foot-4 guard remains unclear, but without Korver, the Cavs may not have enough to offer Philadelphia in terms of value. Despite the uncertainty surrounding his future, the 20-year-old Fultz still possesses plenty of upside and is the type of player Cleveland should consider taking a chance on in the post-LeBron James era. In 19 games this season -- including 15 starts -- Fultz has averaged 8.2 points in 22.5 minutes on .419 percent shooting. In his lone season at Washington, the former 5-star prospect averaged 23.2 points and .413 percent from 3-point range, as well as 5.9 assists in 25 games.